So I got an email from Mars, the people that are running Dove ice cream, asking me if I would kindly remind everyone that July is National Ice Cream Month. Well, I do love free ice cream (and the excuse to tell people to eat ice cream), so I said yes! Dove seem liked a major player in the premium market when the blog first started. 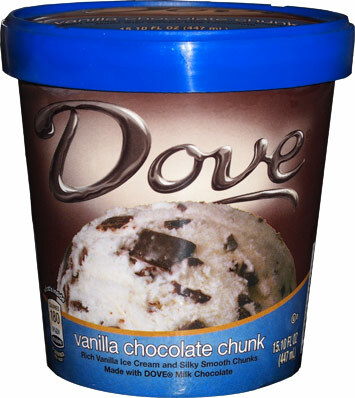 During those early days I got use to always seeing that shelf of premium Dove ice creams as I worked my way down the freezer aisle... but times change, brands change, and the Dove we all know and love is now down to just three pint flavors!! 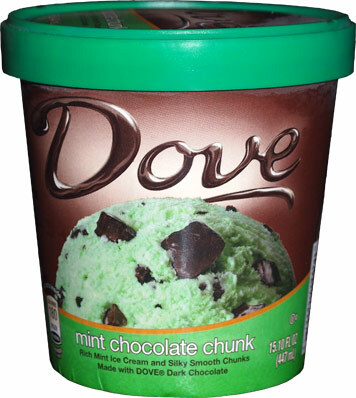 "Rich Mint Ice Cream and Silky Smooth Chunks Made with DOVE Dark Chocolate"
I miss the old chocolate ganache layer on top of the old pints, it makes me wish I had tried all the circa 2010 pints when I had the chance. That said, it still looks awesome with the chips. 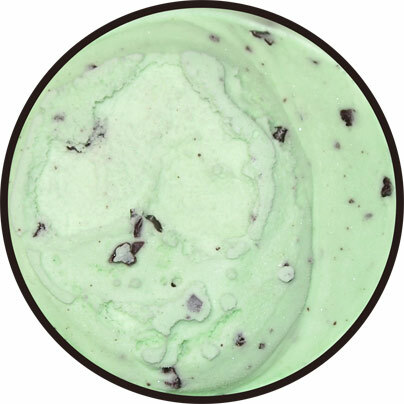 It also smells awesome, kind of like how Talenti mint tastes, so my fingers are crossed, hoping for awesomeness! Ok, it's not bad, kinda strange, it was super soft when it was delivered so many the texture has been messed up. It certainly doesn't taste like it smells. I'm eating the center since that would be the least liking to be damaged in transport, but the texture is still the same. I really liked the Dove mint bars but this is not working for me. It's not bad, it's just not what I got my hopes up for. I do dig the chocolate chunks. They are these neat irregular chunks of real dark chocolate. 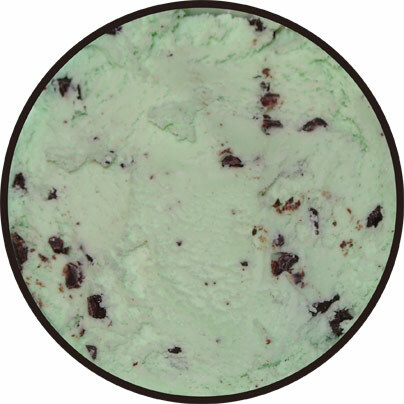 They are the shining star of this pint, but the ice cream texture is really messing with my perception of the mint base. I've gone back for a scoop here and there and it's just hard to ignore. I wonder if the other pints will have the same texture. "Rich Vanilla Ice Cream and Silky Smooth Chunks Made with DOVE Milk Chocolate"
That's right, plain old milk chocolate and not the excellent dark chocolate from the mint version. I dig in and it's got that same texture as the mint version. Oh sure I'm still making short work of it, but it definitely seems like they've changed their formula. Plus, the milk chocolate is a nice chocolate, I dig the different sized bits, but it just doesn't pop like the dark chocolate. This is a fine treat, but it's not knocking my socks off. 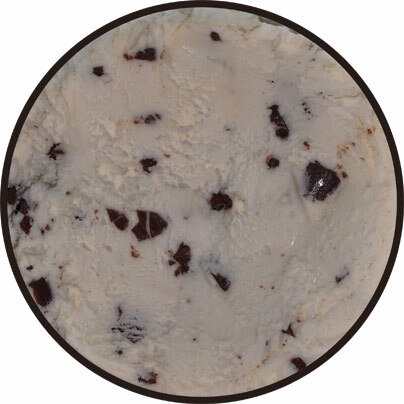 with DOVE Dark Chocolate and a Fudge Swirl"
That's right, the dark chocolate chunks are back! Woohoo! The funny thing is that originally Unconditional chocolate features milk chocolate chunks... but they learned haven't they? That's right, I've inadvertently saved the best for last. It took a few bites to settle in, but it's hard not to get addicted to all the chunks in this chocolate base. Same texture as before = same kind of chemical imperfection going on, but with chocolate on chocolate on chocolate, it's hard to focus on the base texture. Yeah, this one is my favorite. I do wish there was more swirl, but maybe I'll find some as I dig further down, but I have the chunks for now. Oh so many chunks. Nice size thudding chunks in every scoopful. So glad they are dark chocolate. 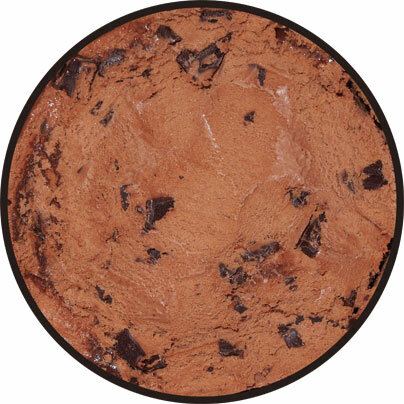 If you need a chocolate fix, this will certainly do just fine. I've never seen these in stores before, just the novelties. How I too wish I'd tried the pints with the chocolate top to them! I learned today. 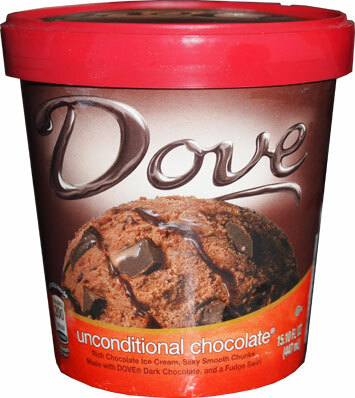 I didn't know Dove used to have an ice cream line. I'm sad I missed the good ol' days of it. I loved the irresistibly raspberry and wish they woyld bring it back!! Cherry Courtship was awesome too. Why do they change what is the best? Good icecream makers always seem to revert to the mean of plainness. They... they canned the chocolate ganache layer!?! MONSTERS!